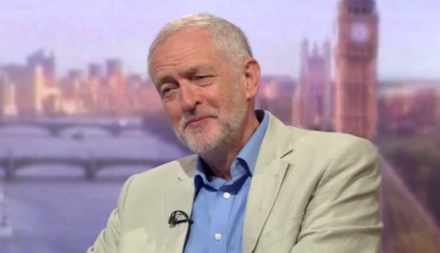 A Labour government will rip up the rules of the establishment, Jeremy Corbyn will say today. The leader will give his first major speech of the snap election by attacking the media assumption that the outcome of the June 8 poll is a “foregone conclusion”. He will also continue the anti-elite rhetoric which characterised his interventions at the start of this year. “If I were Southern Rail or Philip Green, I’d be worried about a Labour government. If I were Mike Ashley or the CEO of a tax avoiding multinational corporation, I’d want to see a Tory victory,” Corbyn is expected to say. Polls place Corbyn’s Labour Party some distance from the Conservatives, with two surveys over the weekend giving the government a 21 point lead. One poll showed that his recess policy blitz was popular, but still gave the Tories a substantial lead on Westminster vote intention. Corbyn will aim to use the expert predictions of a heavy defeat by positioning himself as standing up against the establishment on behalf of workers around the country. “The nurse, the teacher, the small trader, the carer, the builder, the office worker win. We all win,” he will say. “But things can, and they will, change. And Labour in this election will be part of a movement of the British people to make that change. “How dare they crash the economy with their recklessness and greed, and then punish those who had nothing to do with it. “We will overturn this rigged system. The Conservatives will never do that. Seven years of broken promises show us that: on wages, the deficit, the NHS, our schools, our environment. “The Conservatives will use all the divide and rule tricks of the Lynton Crosby trade to protect the wealth extractors’ rigged system. Labour is the party that will put the interests of the majority first.